The dimensions of the retail landscape are changing. Data is quickly becoming the decisive factor for retail management. Analyzing customer persona and purchase behaviour has become absolutely essential for retailers to take decisions in pricing, marketing, inventory etc. All this requires analysis of customer and stock data which can be done effectively only through a store dashboard. Retail consultants are now advocating the use of store dashboards to help retailers streamline their store operations and make more money. What is a store dashboard? A store dashboard is a tool or software used to monitor the performance of a retail store. The store owner can define certain metrics called Key Performance Indicators (KPIs) based on which this monitoring is done. Store dashboards are of different types based on their purpose. Sales Dashboard- this gives an overview of daily and monthly sales, MRR (Monthly Recurring Revenue), new accounts etc. Marketing Dashboard- track the ROI of your online and offline marketing campaigns. Supply chain Dashboard- Here inventory levels, logistics and warehousing are addressed. 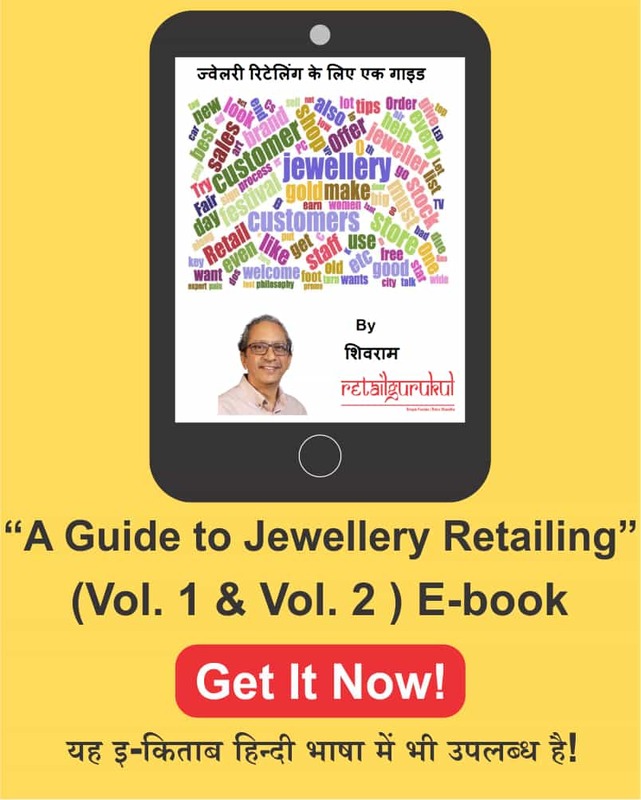 Store dashboards can be customized to integrate any parameters as per the requirements of the jewellery retailer and a Retail Consultant is the best person to advise you on this. Such acute analysis of stock will help jewellery retailers cut down inventory costs in a big way and save money. In jewellery retailing, the price is the prime purchase influencer and the price for any item varies from one shop to another. In this price war, the jewellery retailer must be constantly on his toes to optimize pricing and profitability. Managing prices can be done easily with a store dashboard. The store dashboard gives you a snapshot view of all your jewellery products with their pricing at a glance. You can see at once which are the fast moving items and slow-moving ones. The jewellery shop owner can check the prices of the slow-moving stock with the competitors and make a comparison. He may then adjust the prices accordingly. Using the pricing history, he can assess whether these changes have been fruitful or not. The store dashboard thus offers an analytical view of the pricing of the products and helps jewellery retailers make strategic decisions on pricing. 48% of the retailers today are not confident that they can rightly assess the ROI of their marketing campaigns. Investing a considerable amount of funds into marketing and promotion campaigns and not being able to assess the ROI is like willingly dumping money down the drain. Jewellery retailers have to spend money on advertising and sales promotion and they need to know if this money is getting any returns. A store dashboard helps you do that instantly. With a store dashboard, campaign management becomes easy as it offers a bird’s eye view of all the online and offline campaigns allowing the entrepreneur to see which one is doing well and which one is not. Through the use of intuitive analytics, the store dashboard calculates the ROI for each and helps the retailer to make suitable alterations to the campaign. A store dashboard is the jewellery retailer’s trusted friend to rely on for optimizing sales and making more money. Understand the full scope of using a store dashboard to make more money for your retail store by enlisting the services of an expert Retail consultant or by enrolling in the Vitamin Money for progressive retailers program.